DC Comics. DC Comics is the largest and most diverse English language publisher of comic books in the world. Founded in 1934 as National Allied Publications, the company that would one day become DC Comics virtually created the comic book, publishing the first comic of all original material. 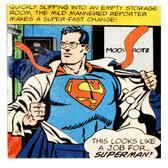 Then, in the spring of 1938, the first super hero story appeared in ACTION COMICS #1, introducing SUPERMAN. Other soon-to-be icons would follow, including BATMAN, WONDER WOMAN, GREEN LANTERN, THE FLASH and many others. 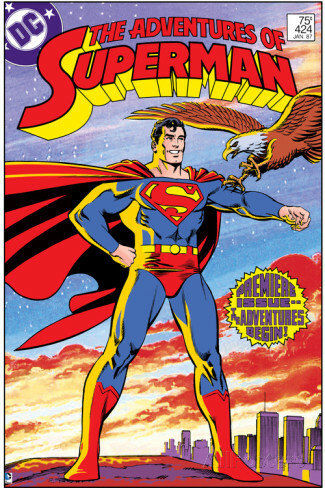 Today, DC Comics publishes more than 80 titles a month and close to 1000 issues a year. Featured DC Comics Super Heroes Posters: Superman, Batman, Wonder Woman, the Flash, Green Lantern, Spectre, Captain Marvel, Hawkman, the Teen Titans, Green Arrow, Aquaman, Martian Manhunter, Robin, Supergirl, Batgirl, Plastic Man, and the Justice League, and villains such as Lex Luthor, the Joker, the Riddler,and Catwoman.